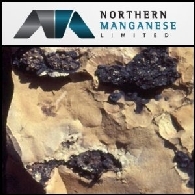 Northern Manganese Limited (formerly Groote Resources Limited) is an Australia-based mineral exploration company. Asian Activities Report for August 30, 2011 includes: Northern Manganese Limited (ASX:NTM) has engaged CSIRO to work on a program to assess the impacts of seafloor exploration and mining; Voyager Resources Limited (ASX:VOR) announced further results from its Cughur Discovery at the KM Copper Porphyry Project in southern Mongolia; Aphrodite Gold Limited (ASX:AQQ) has received the remaining gold assay results from the Chameleon Gold Prospect; Brockman Resources Limited (ASX:BRM) has identified a significant new deposit of hematite mineralisation at the Sirius prospect; Monax Mining Limited (ASX:MOX) has completed a heritage clearance over six key drill sites at its Punt Hill copper-gold project in South Australia. 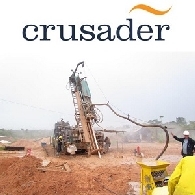 Asian Activities Report for June 15, 2011 includes: Crusader Resources Limited (ASX:CAS) has increased the Mineral Resource estimate of Borborema Gold Project to 1.86 Moz; Wasabi Energy (ASX:WAS) has signed a term sheet to jointly develop, own and operate the Taufkirchen Geothermal Power Plant in Southern Germany; Groote Resources Limited (ASX:GOT) has completed the scoping study of the operational, technical and economic parameters of extracting manganese from seabed locations within the Company&apos;s tenements; Coalworks Limited (ASX:CWK) has received its Preliminary Feasibility Study update for the Vickery South Coal Mine, coal handling and preparation plant and mine infrastructure.